Today's vinyl flooring (also called resilient flooring) combines dramatic, authentic looking visuals - like slate, stone, tile, and wood designs - with superior durability and easy maintenance. Vinyl flooring is still the most economical choice and the ideal flooring for wet areas such as: bathrooms, foyers, laundry rooms and many kitchens. 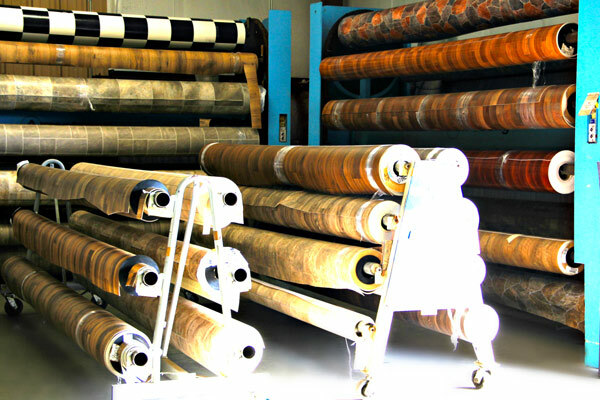 For those looking for great savings we also carry a wide selection of in-stock vinyl rolls and vinyl remnants to choose from. Everything has really changed in vinyl flooring today. The new backings are far superior, the finishes are tougher and the design realism have dramatically improved too. These new generation vinyl floors come in many nature-inspired designs, as well as classic woods and geometric patterns. 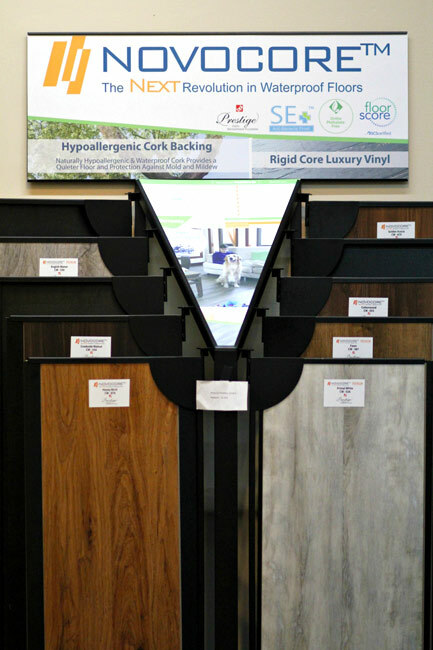 you can find the top brands of vinyl flooring in a wide range of colors, from bold to subtle, to meet today's interior decors at Quality Flooring. We also carry all the latest luxury vinyl tile floors from the leading brand names. Luxury vinyl tile (also called LVT) offers sensational realism in stone and wood plank designs. They have the look and feel of the real natural products, but are much easier to maintain are are extremely durable. When you first see these floors you will soon realize luxury vinyl tiles are also very different than vinyl sheet flooring. They come in planks rather than in rolls and are sold in full cartons. One of the big advantages to luxury vinyl tiles are the various shapes they come in. The vinyl wood planks are often 3 to 4 feet in length and the tiles can be very large squares. In some cases you can even mix and match tiles for a very unique and stunning designer look. Luxury vinyl tiles also has a very tough top wearlayer that is incredibly durable against scratches, tears and gouges. They can also be used in a variety of different areas within the home and in commercial spaces. Some of the stone designs can be installed with or without a grout for a more realistic appearance and a stunning effect. A new innovative flooring product is waterproof flooring. This new type of rigid vinyl flooring can take spills and water accidents without hurting the floor. Also great if you have pets. Come in and we can show you all the latest in luxury vinyl plank and waterproof floorings.